Claudia Binda was born in Varese (Italy) in 1973 and is currently a Research Fellow in Molecular Biology in the Science Faculty of the University of Pavia (Italy), where she got the degree in Biological Sciences in 1997 and the PhD in Genetics and Molecular Biology in 2000. In the following years she worked in the Biocrystallography laboratory at the University of Pavia with the support of a fellowship from NIH (as part of a sub-contract) and then from Pfizer studying the human monoamine oxidases (neurological drug targets which to date have been the subject of more than 19000 publications in the PubMed database), which led for the first time to the structural elucidation of these enzymes. From 2005 to 2008 she got the fellowship “Alunno speciale MINTAS” supported by Collegio Ghislieri (Pavia) to study a human protein complex involved in gene expression regulation. Since 2008 she got a permanent position as Research Fellow and she became member of the PhD School in Genetic and Molecular Biology Sciences at the University of Pavia. She teaches Structural Biology for Biotechnology undergraduate students and Bioinformatics for PhD students. She was awarded with the prize “Il nuovo a Pavia” from “Camera di Commercio” in 2002 and with the “Enrico Gavuzzo 2007” prize from Istituto di Cristallografia del CNR (Roma). In 2011 she got a PRIN09 grant from MIUR. Along these years, Claudia Binda gained a strong experience in the biochemistry and structural biology of flavoenzymes that play a key role in various cellular processes and represent drug targets for the treatment of diseases. 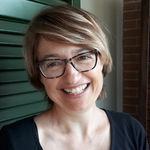 The research activity of Claudia Binda is carried out in the Structural Biology group of the Department of Genetics and Microbiology at the University of Pavia (http://www-3.unipv.it/biocry/). Her main interest is the study of proteins and protein complexes of medical relevance and for industrial applications. In particular, she is focused on a class of enzymes which use FAD as cofactor to catalyze biochemical reactions (such as amine oxidation) in many different cellular contexts, ranging from neurotransmitters metabolism to gene expression regulation to mycobacteria cell wall biosynthetic pathways. The aim of this work is to characterize these proteins at molecular level to unravel the underlying cellular mechanisms and macromolecular interactions and to use this knowledge to provide clues for the development of pharmacological treatment of human diseases. The methodological approach involves gene cloning, E. coli and P. pastoris recombinant protein expression, biochemical characterization of enzymes by spectrophotometric and fluorimetric assays, crystallization and three-dimensional structure determination by X-ray crystallography. The laboratory can count also on established collaborations with cell biology, microbiology, organic chemistry and biochemistry groups both within Italy and in other countries. Selected publications (from a total of 42 up to August 2012, ISI H-index = 25). 1. Binda, C., Coda, A., Angelini, R., Federico, R., Ascenzi, P., Mattevi, A. (1999). A 30 Å long U-shaped catalytic tunnel in the crystal structure of polyamine oxidase. Structure, 7, 265-276. 2. Binda, C., Bossi, R.T., Wakatsuki, S., Arzt, S., Coda, A., Curti, B., Vanoni, M.A., Mattevi, A. (2000). Cross-talk and ammonia channeling between active centers in the unexpected domain arrangement of glutamate synthase . Structure 8, 1299-1308. 3. Binda, C., Newton-Vinson, P., Hubalek, F., Edmondson, D.E., Mattevi, A. (2002). Structure of human monoamine oxidase B, a drug target for the treatment of neurological disorders. Nat. Struct. Biol. 9, 22-26. 4. Binda, C., Li, M., Hubalek, F., Restelli, N., Edmondson, D. E., Mattevi, A. (2003). Insights into the mode of inhibition of human mitochondrial monoamine oxidase B from high-resolution crystal structures. Proc. Natl. Acad. Sci. USA, 100, 9750-9755. 5. Binda, C., Hubalek, F., Li, M., Herzig, Y., Sterling, J., Edmondson, D.E., Mattevi, A. (2004). Crystal Structures of MAO B in Complex with Four Inhibitors of the N-Propargylaminoindan Class. J. Med. Chem. 47, 1767-1774. 6. Binda, C., Hubalek, F, Li, M., Herzig, Y., Sterling, J., Edmondson, D.E., Mattevi, A. (2005). Binding of rasagiline-related inhibitors to human monoamine oxidases: a kinetic and crystallographic analysis. J. Med. Chem. 48, 8148-8154. 7. Binda, C., Hubalek, F., Li, M., Castagnoli, N., Edmondson, D.E., Mattevi, A. (2006). Structure of the human mitochondrial monoamine oxidase B: new chemical implications for neuroprotectant drug design. Neurology 67, S5-7. 8. Forneris, F.*, Binda, C.*, Adamo, A., Battaglioli, E., Mattevi, A. (2007). Structural basis of LSD1-CoREST selectivity in histone H3 recognition. J. Biol. Chem. 282, 20070-20074. *These two authors contributed equally to this work. 9. Binda, C., Wang, J., Pisani, L., Caccia, C., Carotti, A., Salvati, P., Edmondson, D.E., Mattevi, A. (2007). Structures of Human Monoamine Oxidase B Complexes with Selective Noncovalent Inhibitors: Safinamide and Coumarin Analogs. J. Med. Chem. 50, 5848-5852. 10. Forneris, F., Binda, C., Battaglioli, E., Mattevi, A. (2008). LSD1: oxidative chemistry for multifaceted functions in chromatin regulation. Trends Biochem. Sci. 33, 181-189. 11. Binda, C., Wang, J., Li, M., Hubalek, F., Mattevi, A., Edmondson, D.E. (2008). Structural and mechanistic studies of arylalkylhydrazine inhibition of human monoamine oxidases A and B. Biochemistry, 47, 5616-5625. 12. Edmondson, D.E., Binda, C., Wang, J., Upadhyay, A.K., Mattevi, A. (2009) Molecular and Mechanistic Properties of the Membrane-Bound Mitochondrial Monoamine Oxidases. Biochemistry, 48, 4220-4230. 13. Forneris, F., Battaglioli, E., Mattevi, A., Binda, C. (2009) New roles of flavoproteins in molecular cell biology: histone demethylase LSD1 and chromatin. FEBS J., 276, 4304-4312. 14. Binda, C., Valente, S., Romanenghi, M., Pilotto, S., Cirilli, R., Karytinos, A., Ciossani, G., Botrugno, O.A., Forneris, F., Tardugno, M., Edmondson, D.E., Minucci, S., Mattevi, A., Mai, A. (2010) Biochemical, Structural, and Biological Evaluation of Tranylcypromine Derivatives as Inhibitors of Histone Demethylases LSD1 and LSD2. J. Am. Chem. Soc. 132, 6827-6833. 15. Binda C., Aldeco M., Mattevi A., Edmondson D.E. (2011) Interactions of Monoamine Oxidases with the Antiepileptic Drug Zonisamide: Specificity of Inhibition and Structure of the Human Monoamine Oxidase B Complex. J. Med. Chem., 54, 909-912. 16. Baron, R., Binda, C., Tortorici, M., McCammon, J.A., Mattevi, A. (2011) Molecular Mimicry and Ligand Recognition in Binding and Catalysis by the Histone Demethylase LSD1-CoREST Complex. Structure, 19, 212-220. 17. Binda, C., Milczek, E.M., Bonivento, D., Wang, J., Mattevi, A., Edmondson, D.E. (2011) Lights and Shadows on Monoamine Oxidase Inhibition in Neuroprotective Pharmacological Therapies. Curr. Top. Med. Chem., 11, 2788-2796. 18. Binda, C., Aldeco, Geldenhuys, W.J., Tortorici, M., Mattevi, A., Edmondson, D.E. (2011) Molecular Insights into Human Monoamine Oxidase B Inhibition by the Glitazone Antidiabetes Drugs. ACS Med. Chem. Lett. 3, 39-42. 19. Neres, J., Pojer, F., Molteni, E., Chiarelli, L.R. Dhar, N., Boy-Röttger, S., Buroni, S., Fullam, E. Degiacomi, G., Lucarelli, A., Read, R.J., Zanoni, G., Edmondson, D.E., De Rossi, E., Pasca, M., McKinney, J.D., Dyson, P.J., Riccardi, G., Mattevi, A., Cole, S.T., Binda, C. Structural basis for benzothiazinone-mediated killing of Mycobacterium tuberculosis. Science Translational Medicine, in press. Structural biology of a human chromatin protein complex involved in gene expression regulation.